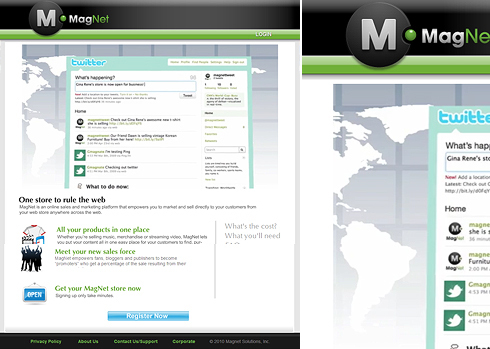 MagNet has developed a proprietary e-commerce platform to deliver digital items on any website. The company is focused on enabling content creators to interact directly with consumers. MagNet’s platform has been designed by technology and media industry veterans to give brands complete control over their content, context and customers by enabling them to globally hyper-distribute content across online and mobile networks, track their conversions and adapt to the marketplace in real-time. It is the first social e-commerce system in the world. The MagNet platform is an elegant solution for any brand seeking to expand their customer base across the online world of social networks such as Facebook and Twitter, without compromising their brand image.